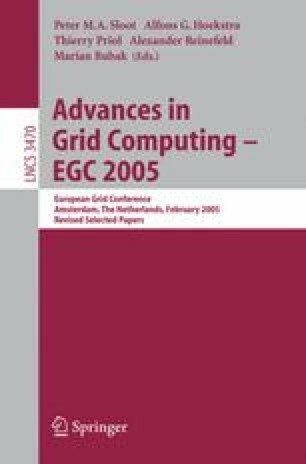 This paper examines the problem of adapting parallel applications on a cluster of workstations. The cluster is assumed to be a heterogeneous, multi-user computing environment so that efficient load balancing within the application must take external factors into account. At any time the users of the network are competing for resources. Performance of a particular processor, as a component in the parallel (message passing) computation, depends on both static factors, such as the processor hardware, and dynamic factors, such as the system load and the activities of other users. For each processor, the external factors can be condensed into a single parameter, the load index, which is a normalised measure of the current spare capacity of the processor available to the application. Numerical experiments show the efficiency of the load balancing strategies on a finite element application with a domain decomposition and the effect on overall computation time.